Remember the previous post titled “Looking for Something to Read?“. Well this post is along those same lines- but this time, it’s about music! This youtube musician should have had millions of views! His piano music is my #1 favorite! Mr. Forrester is a self-taught pianist, but he has such a talent, that music just flows out of his fingers. In my opinion, he is the example of how a piano should sound like- just as a melodious stream- not too stuffy, not too bland. I have listened to him for several years now, and I still do not tire of the music. 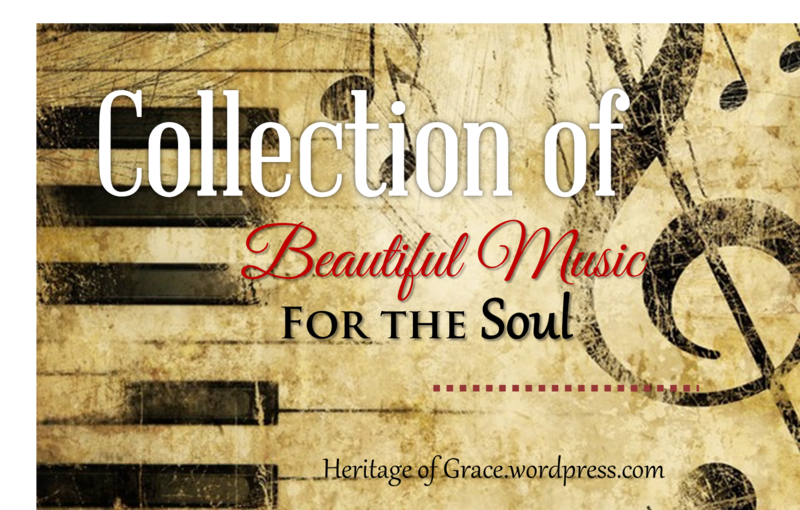 You can click on the image and go to his website to see the album with hymns. Granted, he also has some original compositions that are more rocky/blues which I do not recommend or like. But I can heartily recommend the hymns he plays on the piano! You can listen to most of them on youtube as well. If you enjoy hearing majestic orchestras and lively music then you’ll really enjoy Dan Goeller’s music! If you’re a choir member, you probably used one of his compositions before. We just came across his music this Christmas I believe, when we were looking for new Christmas carols to add to our repertoire. Mr. Goeller makes beautiful arrangements for church music, orchestras, and choirs to sing. I like the quality and variety sprinkled in each new piece! One unique aspect about his compositions is that he incorporates styles from well-known composers or classical music into his hymn arrangements, such as adding a bit of Tchaikovsky style into the piece “Guide Me O Thou Great Jehovah”. You can listen to a full piece of music by clicking the image above and going to his website. (I especially like that Mr. Goeller allows you to listen to the whole entire song on his site, not just a short demo!). Check it out! Another youtube find! I’m so glad we came across Songs of Praise. We used to attend a church with a big choir and orchestra and every Sunday was like listening to a bit of heaven. You can find many, many uplifting and well known hymns from Songs of Praise on youtube. Their choirs sing with enthusiasm and full voices- you can’t help but sing along with them! I recommend them heartily. Click on the image above to go to youtube and browse some of their songs. I especially like “Guide Me O Thou Great Jehovah”, “O For a Thousand Tongues to Sing”, “Tell Out My Soul” and others. They have a 50th Anniversary series where thousands upon thousands of people attended and sing “To God Be the Glory”. If you bring up the volume, you can just imagine how the millions of voices of the saints will sound like in heaven! Breathtaking! Shepard Music Company has a lovely album with Psalm 119 arranged to music. It’s a wonderful idea to memorize the Psalm through song! Any of you going to the National Bible Bee? This could be a good resource! 😉 You can listen to samples of the album on their website. Click on the image above to go there. I enjoy the calming and melodious compositions, that are God-honoring. Their album is an example to other artists that music can be beautiful, effective and successful (nearly 2,000 copies sold) without all the rock beat and electric guitars. This CD could be a lovely gift to give to somebody! The Pettit Team also has a lot of beautiful music. Some friends introduced us to their CD’s awhile back. Their style is similar to Shepard Music, which I presented above. They also have beautiful instrumentals with folks-y, irish-y tones to it. Beautiful ministry! Lots of albums to choose from! Just click the image above to go to their online store and browse through the albums, listen to demos. Or you can go to their website here. More piano music. No, I don’t listen to musicians like Josh Groban and others his style- this one just happens to look like one of them. I randomly stumbled upon this artist from a blog I was visiting which had background music playing. Usually I silence the background music, because I don’t always like the styles. But this melody was so beautiful I had to see who it was that was playing it. I clicked, and was brought to a website called “Grooveshark” where I was able to listen a lot of his musical pieces for free. You can even make playlists. I must specifiy that I don’t recommend all his songs. He has quite an eclectic style, ranging from sad, dramatic songs to very disco/techno/movie pieces. But you can collect a few of the really good ones and ignore the disco/techno ones! You can buy the MP3 for your choice of songs on Amazon for $0.99 each. Here are the ones I think you should check out, which I really enjoyed. These songs I selected sound just like quality movie scores, and remind me of rare well-done movies. We own album I and II by the London Philharmonic Choir. It is not the boring, stuffy kind of hymnals of low quality that you hear in other places. Rather, it is refined, quality, heavenly music, and similar to Songs of Praise. We even gave a CD or two as gifts to other people, we liked them so much. And we’ve played it so often, the songs are practically ingrained in my mind. While listening to William Joseph, I came upon one nice song by this couple Mac & Beth Lynch and decided to share with you. I don’t particularly care for the rest of their songs, but this one was nice. It’s called “Bound for the Promised Land” . Well, that’s the end of my list. Hope you enjoy, and please let me know which one you liked best! Have a nice music filled week! Some great ones to check out ! thank you for sharing at our All My Bloggy Friends Party ! OOOOOOOOOOOOOOOOOOOOO!! LOVE LOVE LOVE Steve Pettit!!!!! YAY!!! And I have an ODB Christmas CD with Dan Groeller’s music on it (that I love) and didn’t even know it! lol 🙂 THANKS FOR POSTS LIKE THIS! Thanks for stopping by all the way from Croatia! I dropped by your blog a bit, and it was neat to hear you are a missionary. I can identify with that since my family and I were also missionaries. Have a lovely weekend! This will be a lovely resource so I am pinning it 🙂 I agree about much of today’s Christian music…I cannot stand it. Our church went through a study several years ago that brought us to a place where we sing the Psalms…so beautiful adn powerful! Yes, I agree about music. I’m pleased you found the resource useful, and will pin it. Thank you for visiting! Next Post Is Faith in God Reasonable?